A lot of talk has come up over the toxicity of sunscreen. I stopped using sunscreen about 5 years ago. I’m not one to burn so I’ve lucked out but I also religiously use coconut oil in my diet and on my body. 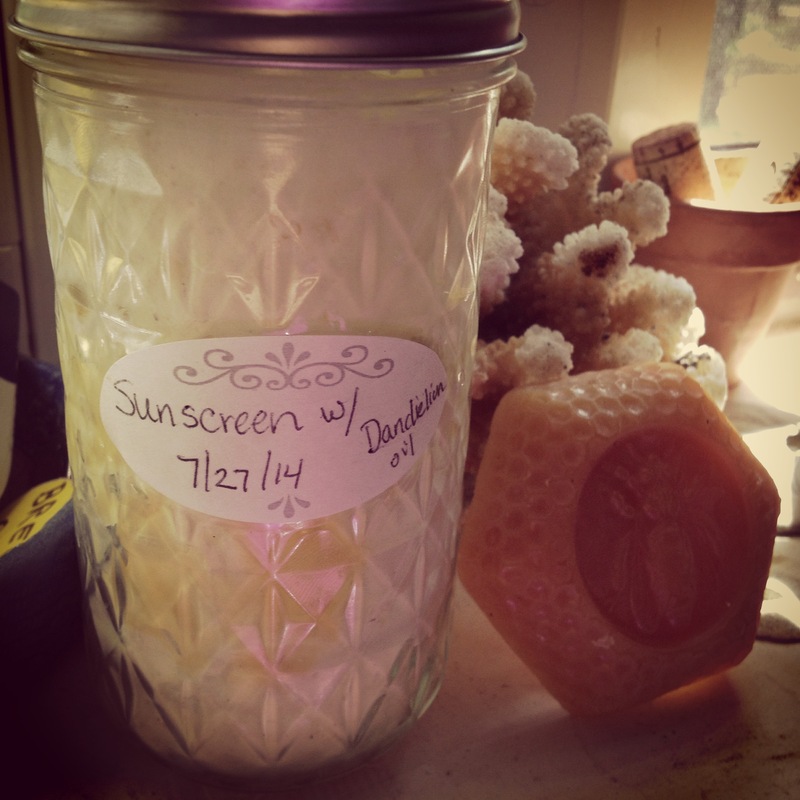 Beyond coconut oil I wanted to share other natural oils that contain a SPF. I first infused dandelion flowers in olive oil for a month and strained. *Dandelions are high in antioxidants, such as vitamin-C and Luteolin, which reduce the free radicals (major cancer-causing agents) in the body, thereby reducing the risk of cancer. As well a cancer fighter dandelions are a detoxifier, which is a perfect ingredient for the healthy skin. Combine all ingredients except Zinc Oxide into a jar to double boil in a sauce pan filled with water. Continue to stir and add zinc only when all ingredients are mixed and smooth. Stir until all zinc oxide is thoroughly incorporated. Let cool and apply!